Every Australian house needs a lawn. That little patch of grass is the place where all the important activities take place. It’s where your kids play, it’s where legendary games of backyard cricket take place and it’s where your dog can wear itself out. There’s nothing quite like the feeling of looking out into your backyard and seeing that beautiful patch of green. The team at Everlast Services has been installing new lawn and turf for over 20 years and we know how to sow the seeds that will give you the perfect patch of grass. Whether you want a small strip of grass to add some vibrancy or a section to cover your entire backyard, we know you’ll be happy with our quote and the finished product. Why Choose a Lawn Installation? Our lawn and turf installation service allows you to enjoy that glorious patch of green almost immediately. We can offer a seed-to-lawn process if you would prefer, but, there’s nothing like the ease and immediate enjoyment of having your lawn installed. Australian’s love green grass. A lawn will add real value to your home. You will definitely see a return on your investment. Modern landscaping has tended to favour the artificial over the natural but we believe that backyards are there to be enjoyed. Your family will have so much more fun mucking around on a lawn. Your family will have a park in their own backyard! We can give you all the advice necessary to enjoy a low-maintenance lawn and anyway, nothing is as peaceful and meditative as mowing a lawn. 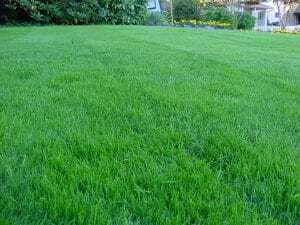 Buffalo Turf: Buffalo turf is one of the finest and best lawn varieties available for Australian homes today. It is popular because of it is cost-effective to install and easy to look after in all seasons. But most importantly it happens to be one of the most beautiful, soft and vibrant lawns you can choose for your family to enjoy in your backyard. Palmetto Turf: Palmetto turf is a soft style of Buffalo turf that is perfect for anyone wanting a great lawn with minimum fuss. The low irritation on skin makes it ideal for families who want a comfortable place for young children to play outside. Synthetic Grass: Are you tired of trying to keep your grass in perfect condition? All that watering, weeding, mowing and edging can take up a whole weekend. Maybe you’ve bought a new house and you’re looking at landscaping options? You want grass, but you can’t stop thinking about all the maintenance that goes with it. Well, if that’s the case, you need to think about synthetic lawn. Grass Pavers: Do you want a hardscaped area that is still green? Traditional methods of hardscaping make this impossible because you have to make a choice – grass or paver. Well, grass pavers allow you to enjoy the best of both worlds. Grass pavers come in a number of options; you can either lay pavers that are invisible and sit underneath the turf or, you can lay pavers that sit within the turf, so both are visible. Everlast Services has been providing a quality landscaping service for over 20 years. We know how to work with your space to give a truly remarkable backyard. We also know how to give you a lawn solution that responds to the demands of your environment. We are 100% Australian owned and everything comes from our plant in Hoppers Crossing. By getting your lawn or turf installed by us you are making a decision to support the local economy and support local jobs. Our relationships with suppliers allow us to pass on our quality service and products without making you bear the cost. We offer the full-suite of landscaping services. We can lay your turf, build your fence, create a pergola and craft a deck. You work off one quote and enjoy a consistent service. No dealing with multiple tradies and suppliers and no juggling quotes.